You deserve to have a house and business that you’re proud to call your own. Whether you’re looking to change the aesthetics of your outdated interior or completely makeover the look and feel of your Raleigh, Durham, or Chapel Hill home or business, we have what it takes to make your dream a reality. 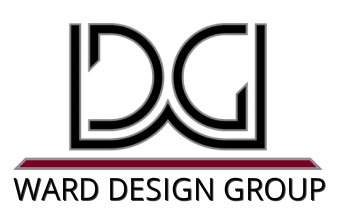 Over the past two & a half decades, the architectural and interior design experts at Ward Design Group have helped many home and business owners in the Raleigh, Durham, and Chapel Hill region transform their living and office areas into elegant yet functional spaces. With several years of experience in architecture and interior decorating, we maintain a fresh design perspective which can be seen in each home and commercial property we work on. It’s this approachability and willingness to adapt to a changing residential and commercial design industry that has led to the creation of our design philosophy: Whether traditional or contemporary, modern or eclectic–the best design practices occur when a designer first develops a deep understanding of what it is their client wants and needs and then, using their insight on the matter, offers them options as to how to bring their mental “snapshots” into fruition. So often in life people underestimate the impact of residential and commercial design on their self-worth. Your home and business are a direct reflection of who you are. Give your Raleigh, Durham, or Chapel Hill living and office spaces the attention they deserve with one of our signature residential or commercial design services. Contact us at (919) 489-7091 or via email at info@warddesign.net to discuss the details of your next Raleigh/Durham/Chapel Hill design project.